Sammy’s Multilift Services Limited (SMSL) is a subsidiary of the Junior Sammy Group of Companies. The company is based in Claxton Bay, Trinidad and is engaged in all mechanical and structural works , including plant construction. Also the rental of world class lifting equipment, container transport services, heavy equipment and specialized transport services. This is done while ensuring that our service is of the highest quality and safety standard. With Junior Sammy Contractors Limited and JUSAMCO Pavers having successfully established themselves at the pinnacle of general contracting and paving in the country, the Junior Sammy Group then set its sights on the crane and heavy transport arena.Mr. 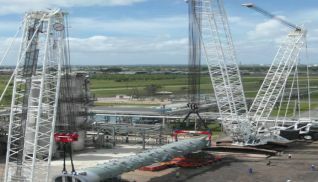 Ramdath Ramsubir In 2001, the Group acquired Gopeesingh General Contractors Limited, a small but well-established crane company located in Trinidad's southern sector. 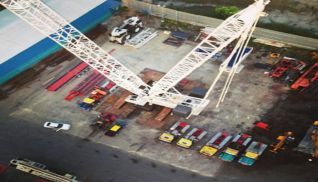 In order to build capacity, the Group invested over TT$300M in plant and equipment upgrades and re-launched the company as Sammy's Multilift Services Ltd.
Today, Sammy's Multilift Services can confidently claim to be the market leader in the crane and specialised heavy equipment industry in Trinidad and Tobago and the Caribbean. One of the key strategies aggressively pursued by Sammy's Multilift Services is a continuous investment in modern equipment utilising state-of-the-art technology.Mr. Sharlon Marc Sammy As aptly stated by Sammy's Multilift Services President, "The cranage and specialised heavy transport business is all about equipment. If you haven't got the appropriate equipment, you can't accomplish much. At SMS, we're all about getting the job done." 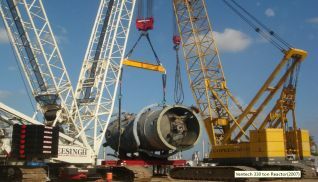 From inception, the company's focus has been on acquiring the necessary equipment and personnel for the heavy lifting and transport needs of its clients. 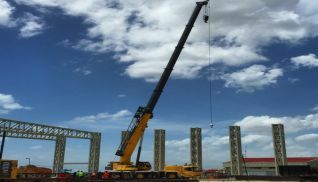 As a result, Sammy's Multilift Services now counts among its fleet of cranes, an 825 ton capacity behemoth - the largest crane in Central America and the Caribbean. In addition, Sammy's Multilift Services also boasts such cutting edge equipment as self propelled modular trailers and a variety of tractors, trucks, trailers, lowboys and forklifts.